We're 20 days into 2009 and I've been enjoying it so far. Today particularly is an exciting day with the inauguration of President Obama. I have to admit that I'm pretty excited that our son will be born during the administration of an African American president. There is no doubt that it will impact the way he perceives the world and I think it will positively contribute to his outlook. I've begun teaching classes at the Bead Gallery at White Bear Lake and Woodbury - one at each store so far with another scheduled tonight. Though that's not really enough to create a sweeping summary, I must say that the women I've met thus far have been fabulous! If you haven't seen the class schedule, I'm teaching one class each of three selections at each store for two months - so 4 each of 3 classes or 12 sessions in January and February 2008. The classes are Byzantine Chain, More Fun With Wire (French Wire), and Crazy Wire Rings. The end products I've seen students produce have been great! 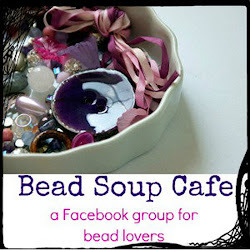 So, all in all, I've been very happy with my experiences at the Bead Gallery so far. If you live locally, I'd encourage you to join us for a class! 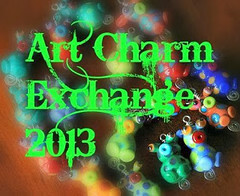 Go to http://autochthonous-evolved.com/classes.htm or http://bead-gallery.com/. Classes at Sticks & Stones in Mankato are still going strong. We have been focusing on developing soldering classes and it continues to be a strong favorite out of the classes I teach. 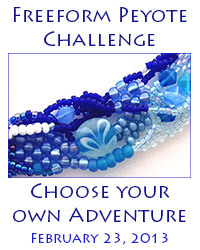 I'm also hoping to have enough interest to have another set of lampworking classes in April 2009, after the baby is born, so if you live within driving distance of Mankato, MN and want to learn what you can do with a torch and glass - call Sticks & Stones at 507-345-7110 to let them know you'd be interested in April lampworking classes. Pregnancy has limited my activities otherwise. I haven't been creating as much as I normally do. Moving requires more energy now and since I'm still occasionally experiencing nausea, I've had trouble eating enough to get my energy level up. I know you're all sympathetic ... 'Poor Julie, only gaining 6 pounds total by week 33. I really feel bad for her.' The baby is growing though, so that's all that really matters. Besides limiting my creation time, I've also been subbing a little less. But, my time in the St. Paul School District has been both instructional and inspiring. Having spent time in both suburban school districts (Minnetonka and Wayzata), and urban school districts (Minneapolis and St. Paul), I'm continually amazed at the similarities and differences between them - the comparisons aren't the ones you'd necessarily imagine. First, the high achievers in both areas are all outstanding - and high achievers exist everywhere in every conceivable package. Second, there are troublemakers everywhere - the main difference being that the troublemakers in the suburbs seem to have more consciousness about the fact they are causing trouble. I find that clear presence of intent particularly frustrating. In contrast, not all urban "troublemakers" understand how they are creating a disturbance, which I must attribute to failings of both the district and community. That is not to say that no urban students cause problems on purpose, but that there is a greater prevalence of students whose home and community cultures are distinctly different from the culture that teachers expect students to emulate within the school. No matter what, it is difficult being a substitute teacher, so I think that the sub's expectations have a great deal to do with their perceptions of and willingness to deal with the obstacles inherent in either environment. Those expectations are certainly shaped by the environment you come from, and I'm all urban all the way. I hope the Obama administration paves the way for some positive changes in the educational arena, particularly an increase in the awareness of the importance of sociological factors in education in contrast to the almost-singular focus on the psychological factors that contribute to learning that have been emphasized thus far.